One Eternal Day: "Pagan teaching with a Christian face"
The Baptist Press reviews a book about an error that not only affects American Christians but seems to be spreading even more rapidly elsewhere. 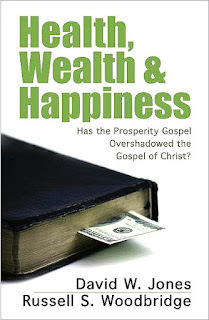 The book is Health, Wealth & Happiness: Has the Prosperity Gospel Overshadowed the Gospel of Christ? by David W. Jones and Russell S. Woodbridge. 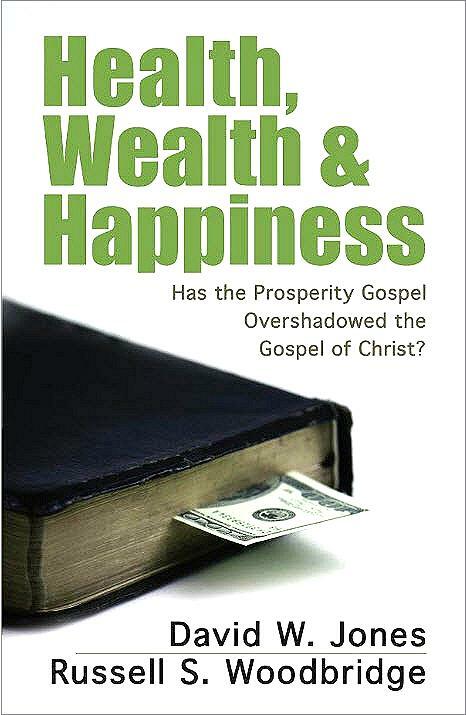 ....Health, Wealth & Happiness (Kregel), critiques what is often called the prosperity or "health & wealth" gospel — the claim by some of America's most well-known preachers that God desires all Christians to be materially wealthy and physically healthy. The prosperity gospel, Jones says, is a "pagan teaching with a Christian face." BP: What are some of the basic biblical or theological errors of the prosperity gospel? JONES: First of all, there's a distorted view of God — God is sort of like a cosmic bellhop that we can call upon and He's there to serve us as opposed to us being here to serve Him. No. 2, there's an exalted view of man – [it teaches that] Christianity is ultimately about us and not about Jesus and God's glory. No. 3, there's this idea of mind over matter — if you just believe it, it will come true. No. 4, there is an overall fixation upon health and wealth and the idea that if you're just a good person and you love Jesus and tithe, you can expect to have a full wallet and perfect health. No. 5, there is a false idea of salvation itself. [According to the prosperity gospel,] it's not so much that we're saved from eternal damnation, saved from God's wrath, but rather we're saved from the unfulfilling, unprosperous life.